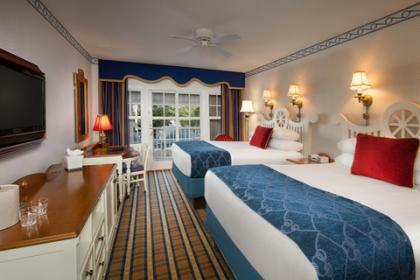 Drop anchor at this nautical-themed resort inspired by the summertime seashore hotels of Martha's Vineyard and Nantucket Island in the 1880's. 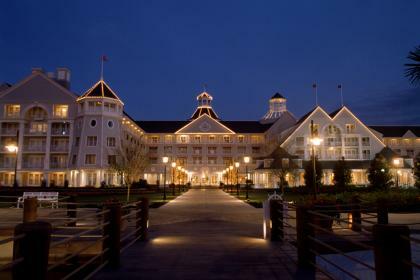 Inspired by traditional New England yacht clubs, Disney’s Yacht Club Resort is only one mile from Disney’s Hollywood Studios by ferryboat, and less than a mile from the Epcot entrance. Sailors and landlubbers alike can take advantage of this waterfront resort, with its large pool, water slide, tennis courts, croquet lawn and marina with boats for rent. Beamed-wood ceilings, wood floors, comfortable seating areas, nautical accents and miniature ships on display grace the busy two-storey lobby. Beyond the French doors are lush, landscaped grounds and the resort’s dock on the 25-acre Crescent Lake. 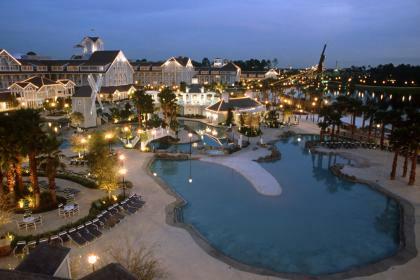 Like its adjacent companion hotel, Disney’s Beach Club Resort, the centrepiece of Disney’s Yacht Club Resort is Stormalong Bay, a three-acre lakeside water park with an outdoor pool, connecting bridges, water slides, spa tubs, two quiet pools and a children’s pool as well as a white-sand beach. 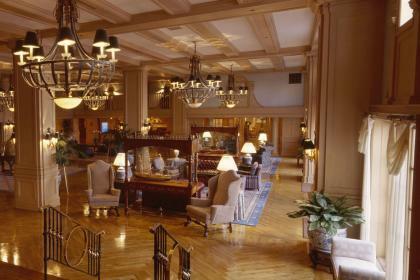 Child-friendly options include a playground, game arcade and the Sandcastle Club, which offers supervised activities. 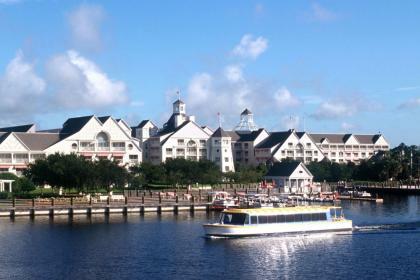 Boat rentals are available at the resort marina, which is shared with Disney’s Beach Club Resort next door. 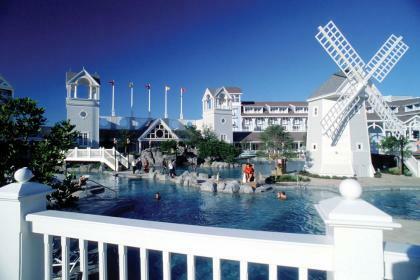 Next door to the resort is the Cape May Café at Disney’s Beach Club Resort, where Disney characters join guests for breakfast every morning at Goofy’s Beach Club Bash. Kids will love watching Disney classic's with Movies under the stars. 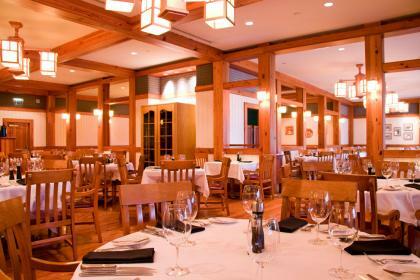 Yachtsman’s Steakhouse - This New England themed restaurant serves dinner only, with dishes that include aged cuts of grain-fed beef, chops, poultry, and seafood, all cooked on an oak-fired grill. Priority seating is recommended. Captain's Grille - Open for breakfast (a buffet) and lunch, this restaurant offers specialties including beef, chicken, and pasta dishes. Crew’s Cup Lounge - The lounge serves beers and ales from around the world. Hurricane Hanna’s Grill - Guests enjoy poolside dining with drinks, sandwiches, burgers, and snacks.